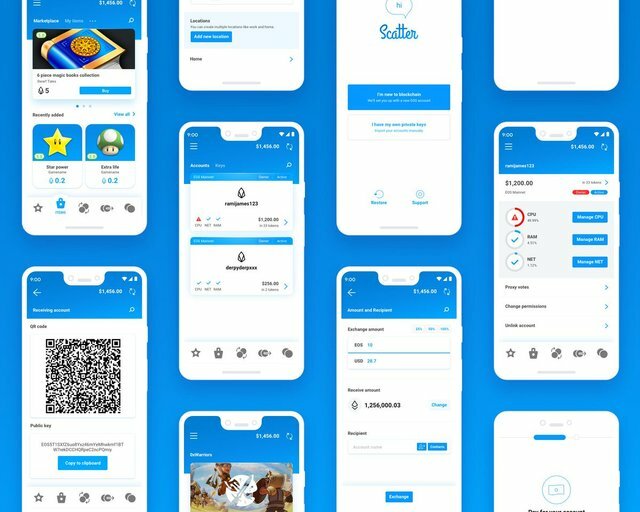 Rami James from Scatter just reveiled some design drafts for scatter mobile. The draft includes a click dummy which makes the presentation even more exciting! 2) As well as a fiat tro crypto gateway, which will be even more important and would lower the barrier for new users to enter. Now all we need are a few killer dapps! Excited or just having your regular cup of tea? I look forward to using it as I do almost everything on mobile. I hope you don't have to put in private keys if you already have a functioning Scatter account. Your UA account score is currently 2.907 which ranks you at #11782 across all Steem accounts. In our last Algorithmic Curation Round, consisting of 354 contributions, your post is ranked at #236.